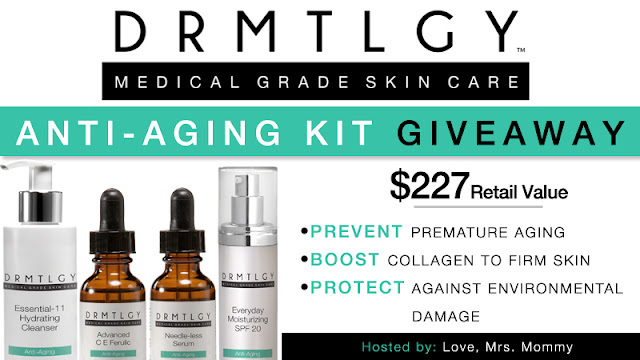 Welcome to our DRMTLGY Anti-Aging Kit Giveaway! Enter to win this great collection of Anti-Aging Skin Care products. Enter today and Good Luck! They're the direct manufacturer and have manufactured these products in Southern California since 2005 in a FDA regulated facility. These products are recommended by more than 2,000 dermatologists and plastic surgeons and are used to treat patients with acne, wrinkles, dark spots, dry skin, and many other conditions.